Jeremy Harper is used to making something out of nothing. 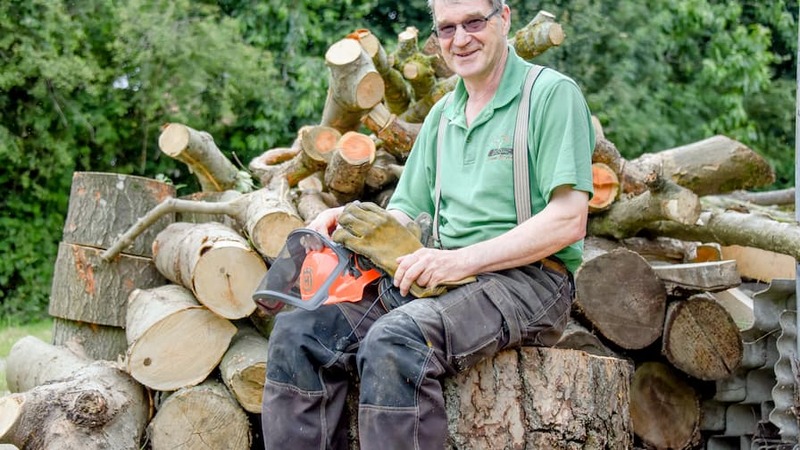 For 20 years he has worked as an arborist and commercial site clearer which has taken him across the UK to remove unwanted trees and hedges, often repurposing would-be waste materials and giving them a new lease of life. 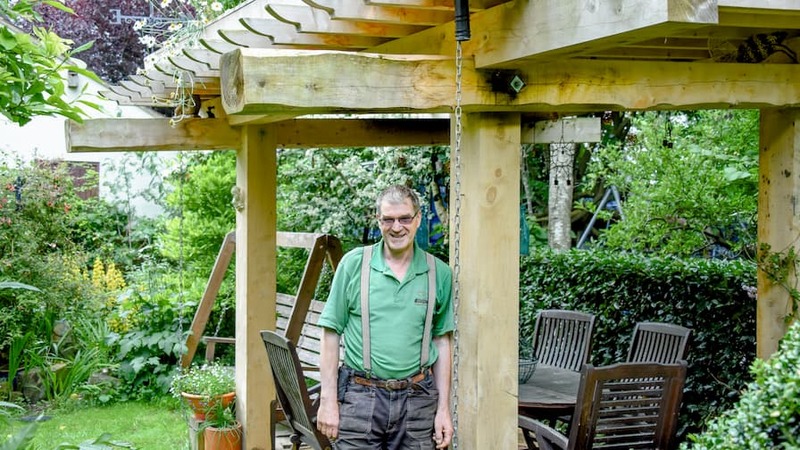 But he admits that he has surprised himself with a personal project to build a living arbour in the garden of the family home in Milton Keynes, Buckinghamshire, England. Taking that seed of an idea through to delivery didn’t involve a great deal of planning, Jeremy admits. He was contracted to a demolished industrial unit to tidy up and preserve the remaining trees and remove any remaining woodland not required. A Leylandii hedge was left and, rather than chopping it up for firewood, he decided to mill it down to the size required for the arbour. On top of the structure sits the wild, green roof which exploded with colour throughout a wet and warm English spring. “My wife found a sale tray in a garden centre and we targeted things like thyme, rosemary and even strawberry plants. Jeremy says he was fortunate to have the materials available and the right tools for the job. 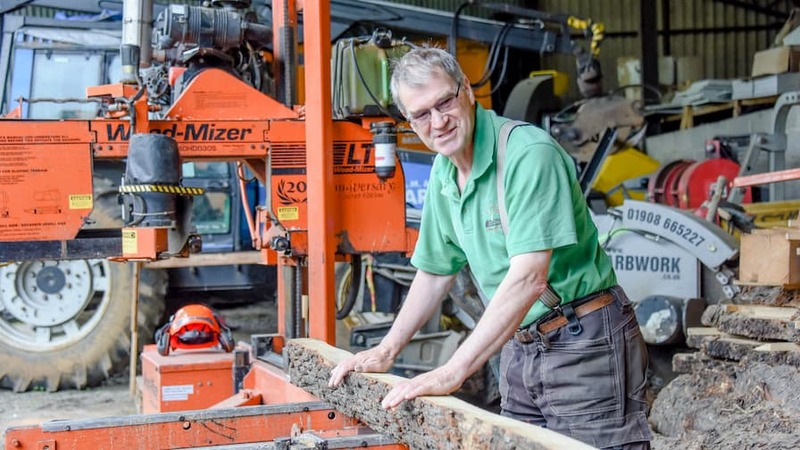 He regularly mills wood for customers – creating bespoke sizes suitable for use in building, furniture and wood turning. 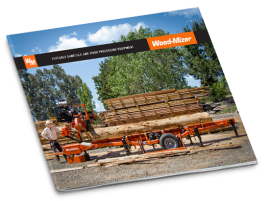 He uses a Wood-Mizer LT40 mobile sawmill which he bought second hand about five years ago. “We thought the LT40 was about the biggest we could buy and get away with for work,” he said. He now has a permanent reminder of one of those millings sat in the garden. The LT40 is housed in a barn across the road from Jeremy’s home. 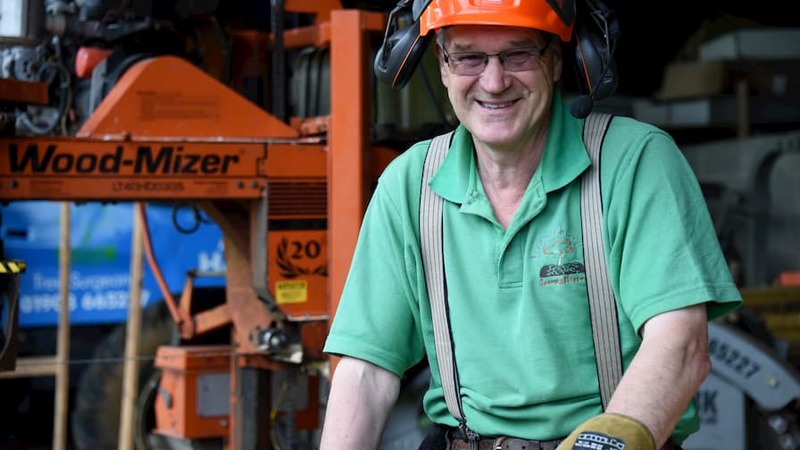 His business owns five cranes for moving wood around on site, but he says that for this particular project he didn’t make it easy for himself. “We moved everything by hand!” he said. “The uprights were the heaviest part of the timber work but the gravel we had to carry up the ladder to put on the roof was the most labour intensive part. 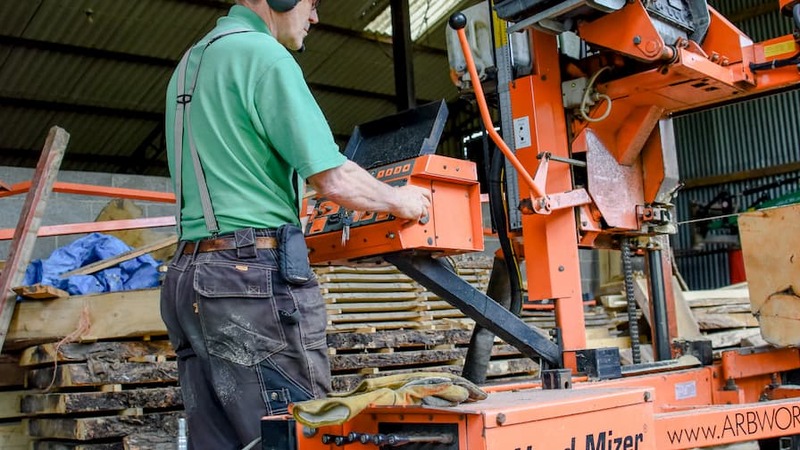 “To cut all the timber didn’t actually take long because we knew what we wanted. The worst thing you can do when milling is procrastinate so it’s to have a cut list organised first and then you can just get on with the job in hand. The upright posts are sunk into the ground and secured with soil. They bear the weight of the structure which is crossed with the joists. 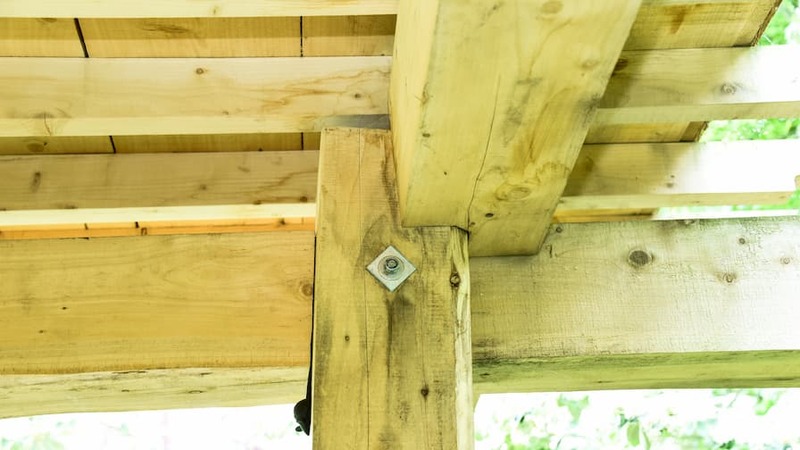 On top of the joists sit one-inch boards which form the base for the living roof which is waterproofed with a pond liner, then protected with geotextile layer to keep the roof watertight. Then Jeremy put down the heavy gravel – bags of 30mm stone designed to improve drainage and then covered it with a root barrier and topped with a layer of carpet to help with moisture retention. The green roof physically grows in a mixture of composted wood chip and screened topsoil. 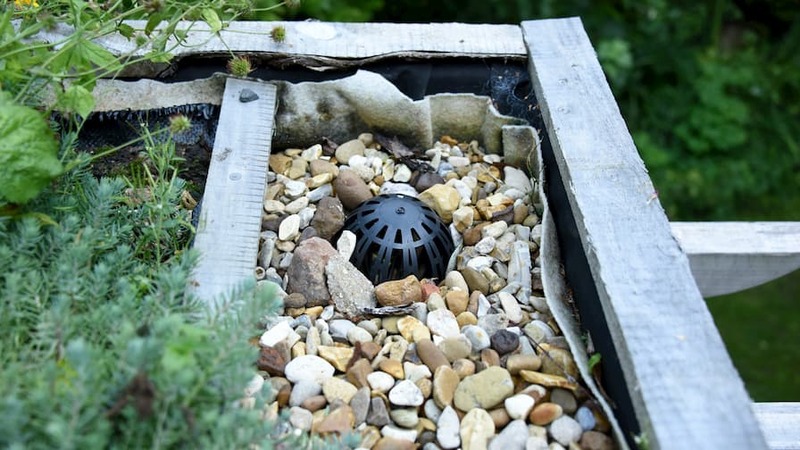 To improve drainage, flat roof drainage points are glued to the liner and the run off is carried down chains which water the plants at ground level. 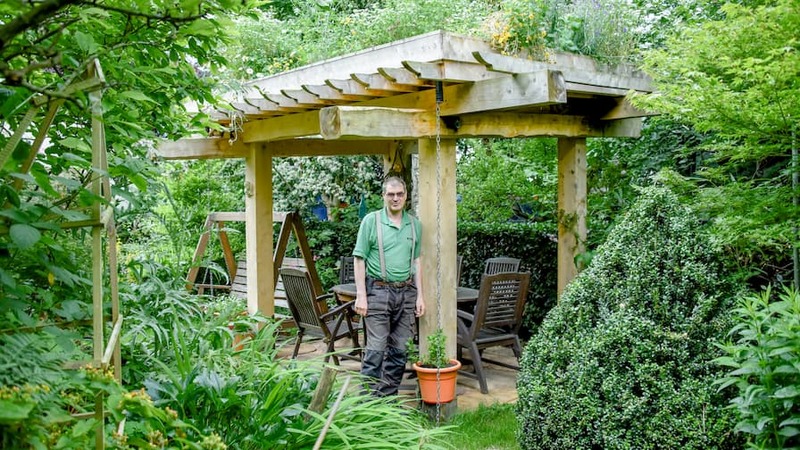 Rather than a patio slabbed floor, Jeremy again turned to his sawmill and cut round sections of Leylandii to complete the natural look of the structure. 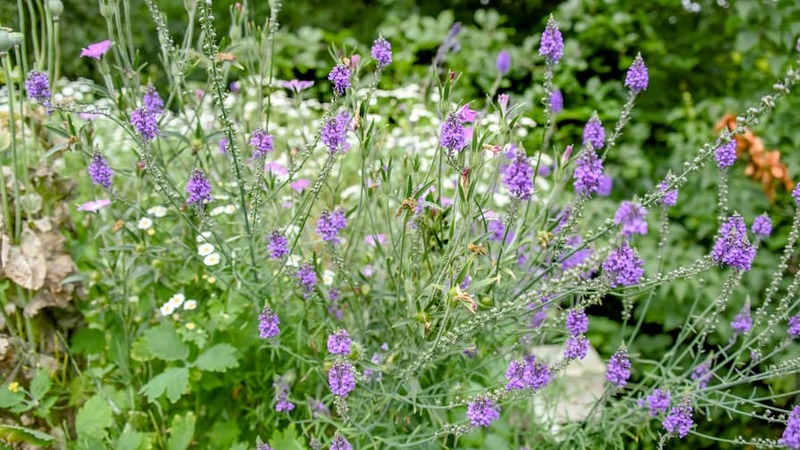 The end result is not only impressive but something that the whole family can enjoy – whether that’s sitting underneath it or weeding on top of it. Having the main material available and the LT40 to mill the timber has allowed the project to be extremely cost effective. Jeremy said: “I priced up what it would cost to build the structure in green oak and it came to about £3,000. All it has cost us is the time and a bit of fuel. 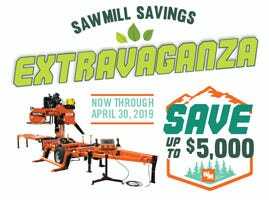 “I’m absolutely delighted that it’s better than I thought it would be.” Apparently Wood-Mizer did as well, because Jeremy entered the arbour to Wood-Mizer’s 2015 customer project contest, and won third place!